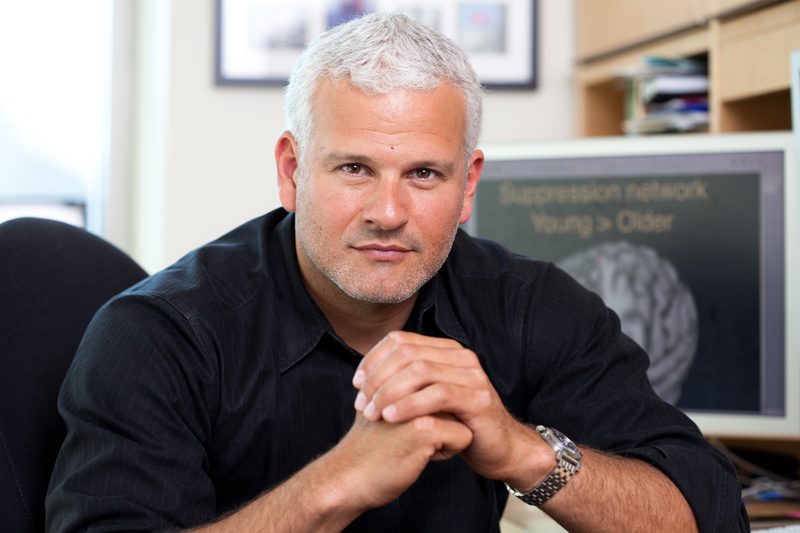 Adam Gazzaley is a neuroscientist, a photographer, an entrepreneur, an inventor, and an author. He is a Professor at University of California, San Francisco, where he directs a centre called Neuroscape which both creates new technologies and also validate them as tools. He has authored over 100 scientific articles, and is co-author, with Dr. Larry Rosen, of ‘The Distracted Mind’. When I spoke to your colleague Dr. Larry Rosen, I asked him what he saw as being the links between attention and imagination. He said, “I would say that our imagination, our ability to think creatively, is probably on the decline, exactly in the opposite trend to our time spent on the smart phone.” I wondered whether you would agree with that, and what thoughts you might have about how the increasing fracturing and distracting of our attention might impact onto our imagination. If you don’t value, and you don’t prioritise, having some quiet moments, some pauses in the stream of information that floods into our brains, it diminishes the chances for a lot of creative thought, for making connections between otherwise non-clearly linked events and ideas. What Larry and I really focused on, that others have as well, that was prominent in our book, was that the unprecedented access to information that we now have – through all the devices and all of the software that we’re exposed to, that we carry on our bodies, that have the ability to contact us when they want to interact, as opposed to us reaching out for them – all of these factors, have led to a cognitive style where we are consuming voraciously, and probably in an unhealthy way, so much information that we don’t really take the time to pause and to allow for consolidation and connection, which I think are, in many ways, the core of the creative process to really take place. When I read your book and Jean Twenge’s book ‘iGen’, and Sherry Turkle’s work on the impact of smart phones, it is striking in the last 6 months, the amount of research coming out about the impact of social media, smart phones, on young people but also on the rest of us as well. If one were to look at the digital age as being an experiment, that we are 15, 20 years into that experiment, how would you summarise the state of where we find ourselves now? We’re taking toll maybe for the first time in a serious way, and not just scientists and intellectuals and academics, but even the tech leaders and creators themselves, as we’re starting to see. It’s appropriate, and it’s timely. It’s probably even a little later than it should have happened. But you know, all technology comes with challenges in addition to opportunity, and there’s no lack of them here. It’s reasonable to, in as non-biased a way as we can, take a look at what the fall out and unintended consequences of all this new technology might be on our minds, and how we interact with each other and ourselves, and our environment. That’s what’s happening now, and I think it’s a very healthy response. I hope we continue to see more of it. If we look across the books that you mentioned, and even our work, there is definitely reason for concern. We really present an evolutionary perspective on it in our book, which I think had a unique angle, but the reality is that no matter what microscope you peer at this through, whether it’s just looking at the brain, the cognitive neuroscience, or whether it’s looking at behaviour in the real world, as Larry tends to do in his research, or the many other avenues of investigation, the conclusion is that our brains, especially those of young people, but all of us, have been challenged in a way that has had negative consequences. I don’t think anyone could deny that now. But, you know, I tend to fall more on the optimistic side than the pessimistic side. I feel like that is an amazing starting point for us to create new technologies, or modify our existing technologies in an informed way, given what we’re learning from this experiment, and use technology in a healthier manner and even in a way that improves and enhances us. I spend most of my time, both at UCSF as well as companies that I have started to accomplish this, which is to create technologies, or leverage existing ones, that enhance what makes us human and doesn’t diminish it. And that’s the goal. I’m optimistic that with the insights that we’re learning from observing what we’ve created and its effects, we’ll be able to build better technology that serves to elevate us. One of the insights that I got from your book was that evolutionarily we are almost powerless in the face of some of this stuff. Particularly with the stuff that’s been designed in to maximise the dopamine response to all of these things. Is it really possible that we can get on top of it, or do you think in 10, 15 years we’re going to look back and feel like we really unleashed something on society that actually was, on balance, not worth it? I think we can get on top of it. There are clearly very significant and disturbing, in some ways, challenges that have arisen from modern information technology and all of its complexities that we have around us, now. But there is amazing potential to design and develop, distribute, and use, technology in a better way. And as long as both the technology community, the investors, the practitioners, the users, the regulators, are open minded to rethinking how we create and use technology, we can have a really amazing future with it. I really do believe that. What I’m seeing, and the conversations that I’m having, including with very, very successful tech leaders, is that everyone gets it. Not everyone, but many, many people, get it a lot more now than they did five years ago. They maybe see it in their children; they see the burden in their own minds. Maybe it’s from reading a book like ours, or maybe it’s just from being introspective, and feeling the burden of having information that is controlling you, and technology that’s controlling you, rather than the other way around. I feel like when we look back 20 years from now, I would think that right around now, is what we will view as the pivoting point, where we started taking stock of what technology has done, both good and bad, and move forward more thoughtfully. In that scenario, how do you see that we might get around the fact that if you are an app developer, you want people to use your app, and you’ve spent millions of pounds developing your app, and your app is going to be the most successful one because it has the most of that dopamine addictive stuff built into it. In the cut-throat capitalist world of Silicon Valley, what does that de-escalation of the dopamine arms race look like in practice do you think? It’s a great question, and I wouldn’t say that I have all those answers. I have been in a lot of rooms, on retreats, and brainstorming, think tank groups, to start imagining how this can happen. I don’t have the answers, but I do think that there is a way to target an app, or any technology, in a particular manner towards a certain type of activity. A certain time and day, time in your life, that is not all consuming. And you could still be successful, and still have a bottom line of generating profits, but it’s done in a way that’s more thoughtful in terms of how it would be incorporated in someone’s life, in a way that is more cohesive with the other things that are really important for them. What are the implications in a society when our attention spans are so shot to bits? The number of people who actually read books seems to be declining. I’ve really noticed when I’ve been researching this book, having spent the previous five years doing quite an online sort of existence of blogs and Facebook and putting this that, that actually my attention span is absolutely hopeless. What impact do you think that’s having on our democracy, on social relationships? What are the knock on impacts of that? I think the negative impacts are very broad. I’m writing a piece now framing this essentially as a ‘cognition crisis’ that we are facing. If you look across the range of activities that our brain performs, essentially what our mind is, it includes perception and memory and decision making, emotional and aggression regulation as well as critical things like empathy, compassion, wisdom, and the fragmentation of attention is a core component of why we’re seeing challenges across all those other abilities, including imagination. They are very interconnected, these abilities of the mind. Without improving them, and assessing them, being prioritised, and the challenges that the technology has placed on them, I believe that we are in a crisis right now. And that that crisis affects other things, like climate change, and it reverberates across all of the crises that we have. So we have to recognise it for what it is. That’s the article that I’m writing now to try to really bring that into sharp focus, in a very broad way. But I think technology has played a role in at least aggravating the crisis, and it’s time to think about how we can develop solutions using technology. Yeah. It harkens back to first point I was trying to make about those quiet moments. Those pauses, those breaks in the constant stream of information and data that pours into our brains. Those are the times when reflection on both the past and future, and imagination and new perspectives take place. If the fire hose is always on full blast, and information is always coming in, and most of that information is obviously about the present, it does set up the conditions to become preoccupied with the present and never pause to consolidate and look forward. I think it is a problem. I feel the allure of it myself, or the pull of it. Whether or not it’s alluring, you still could feel the pulling nature of constantly just cycling through information, whether it be in Facebook, or the news feed, or pretty much your email, everything else. I always call it the treadmill. You feel like you’re on it, you’re pushing all the time, you’re not getting anywhere, but it’s never going off. I never have been someone that’s read the news a lot. You know, I’ve kept up. I don’t think I’ve been uninformed, but certainly I haven’t had a TV in 20 years. It’s certainly nothing that I’ve ever felt that I was hooked on. I would rather read a fiction novel usually than the news. But lately, it’s hard to not read the news. I mean, a lot of books that I start reading seem pretty boring compared to whipping over to looking at what CNN or Fox News has to say. It’s actually been a challenge to find a book absorbing enough that I don’t feel like maybe I should switch over to the news. I find that pretty upsetting, that it has become in a lot of ways like a reality TV show, which I’ve always successfully avoided, I thought as a benefit to focusing on other things in life. Now I feel like I am hooked on the current reality TV show which is our world news. I do find it problematic when it comes to long range thinking for the reasons you said, that it does lead to a cognitive style of constant engagement with just what’s going on in the moment. One of the questions I’ve asked everybody that I’ve interviewed has been, if it had been you that had been elected just over a year ago as President and rather than running on a ‘Make America great again’ platform, you had run on a ‘Make America Imaginative Again’ programme, what might be some of the things you might have done in your first 100 days in office? There’s so many answers I’d have to what I would say with a single word. But one that I think encompasses a lot of it would be to “Make America Thoughtful Again”. The word thoughtful could be pretty broad. I hope it would mean attentive, and compassionate and creative, and all of those things. Just really honing in on what makes us human? Where are the deepest values of what it means to be a human on the planet Earth right now and how do we enhance them? There’s so many aspects to that, and so many ways we can do it, but I don’t hear that conversation happening very often. Even critics of the current administration, I don’t always see that attention towards our minds, and what’s happening to the way we think broadly. That’s what really concerns me. You mentioned climate change earlier. When we live in the age of the distracted mind, or the age of the cognition crisis, I wonder what thoughts you might have about what that means for activists, campaigners, when we’re putting messages out to people who don’t read anything anymore and have a 10 second attention span? Yeah, you’re in trouble. You’re in trouble. The type of thinking that’s involved with wrapping your head around climate change is so far beyond just having facts and information. We have plenty of that. It involves really long time delayed thinking processes, where you put your reality in a future, even a distant future potentially, and then the type of connection with other people, and the planet itself, which demands an incredible amount of both empathy and compassion. Then complex high level decision making ability is about how you manage all of those elements with the current reality, and the practical challenges of changing something on a global scale. So with all of those ingredients, it’s a set up for disaster, not just because it’s hard to learn information about the climate, which it is, but we have learned out a lot about that. That’s turning out not to be the major problem. The major problem is because of the cognition crisis, or the Distracted Mind. It will be something that I do not have a lot of confidence that we’ll be able to effectively manage if we don’t first put the emphasis on improving how our minds function. So we need to find ways of communicating climate change that generate more dopamine than Fox News? I mean that would be a start! But the more long lasting, sustained approach is to figure out how we assess and build these functions of cognition. How do we make young people pay better attention, make wiser decisions, regulate their emotions more effectively, and feel empathy and deploy compassion? We need to get back to the basics. It’s not just passing on the climate change story; it’s actually having the machinery between our ears that could deal with such a complex issue. Humans seek external stimuli to fill themselves up. We are brainwashed that way. Call it illusion. Call it a spell. The illusion clears and the spell breaks when we turn to Inner Mind. This expansive inner space is receptor to mystery and magic lifting one’s spirit — the opposite of the toiling daily grind. A natural high our moments and days become enlightened. Beta brainwave holds everyday reality. It is here we play out life’s dramas. Slip into Alpha and Theta and reality shape shifts from ordinary to extra-ordinary. Technology is not the issue. The issue is that we are missing the right side of our brain connecting us with our intuition, visions, dreams. We are tech heavy and intuitively starved. Balance restores intelligence (mind) and joyfulness (heart) personally, collectively and as a blue green orb flying through space. exactly, nice comment Patricia! Technolgy is just a tool, and each tool has a button: off. Some mind influencing software tools bring us out of balance. When we stay in the matrix we can not use our left/right connection or use our middle brain, wow nicely said and your website inspires me. Thanks Kitty. Technology gave us the opportunity to connect and now to chat. Gratitude for that! Why don’t we count the ways we can engage the right brain intelligence of intuition, visions, dreams, remote viewing etc. We know well enough what is wrong. Let’s change the subject! What could that look like. others points of view, you don’t need to speak to explain your dreams, vision remote viewing , is that correct? But to explain that to others, who are not on that path and afraid of emotions or crazy things that we do, like healing over distance..how do we do that. Colors, paintings, music, just sending love, how can we reach them? There is expression in Dutch “soort zoekt soort” meaning people who are ” from the same tribe” are looking for the others of the same tribe. But since everything is connected via the cosmos and we are all one, why is there still competition, misunderstanding, lack of compassion? Is there a curtain we can not see through? There are challenges as we let light move through our matter making all things new. We are blessed if/when we meet people on the same path seeing in the same way. I have been on a metaphysical/mystical path for 43 years. This year, 2018, is the first time that I am receiving substantial response from people! So, be patient with yourself, others and your Sacred path. You are never alone. Your inner Guides and Teachers cheer you on! I find it a drain on my energy field to be with certain people. I must be cold blooded (Dragon like) because I cut them loose. “Is this loving,” I ask myself? The answer I hear is “Love of Self” comes first. I appreciate your humility and openness of heart, Kitty. This sounds/feels different than ego arrogance. I support you on your path of inner transition! Please continue sharing your story from the inside out. I want to know who you are — not what you know. That is the difference between those who are left brain focused (information) and right brain focused (inspiration). We need both as you know….whole brain knowing. Wow 43 years on this path! Indeed 2018 will be a year of a lot of changes. I recognize that some people are draining my energy, for me it is a path of let it go. What is difficult for me, i’m going to fast, tend to do to much for people , who have problems. It is as you say about choosing and feeling from your heart. But i have difficulties and bad experience to cut them loose. I have to read your book. I dont’ know , is this the platform to share this insights? people like you and other on this path will happen anyway. I will email you. Would you be interested in starting a blog called Inner Transition? Many people share our questions, tests and revelations. Why not have a platform to let Light in and out? Is that not a portal? No one person has the answers for another. That is why I keep telling my stories. That is all one can do. Through truth-telling our own story we learn from each other through resonance of the heart. My message this moment is: Shine on! Even in the darkest moment. How can one do this? For me I identify with my Light Body and hopefully my Ego listens. This dance between Light and Ego is something we get to do on Earth, in 3d. Matter and Light = sacred union. Know your Light and know your Ego. I will email today. I would like to see pictures of you and your home. I will share as well.